Expert light­ing direc­tors from Man­ches­ter, UK, pro­vid­ing cre­ative solu­tions for the­atres, TV shows, and events. Cred­its include Celebri­ty Big Broth­er 2013, The Mil­lion Pound Drop, and The Voice Blind Audi­tions. Design a logo and sta­tionery to reflect their cre­ative light­ing capa­bil­i­ties and project their brand with con­fi­dence. 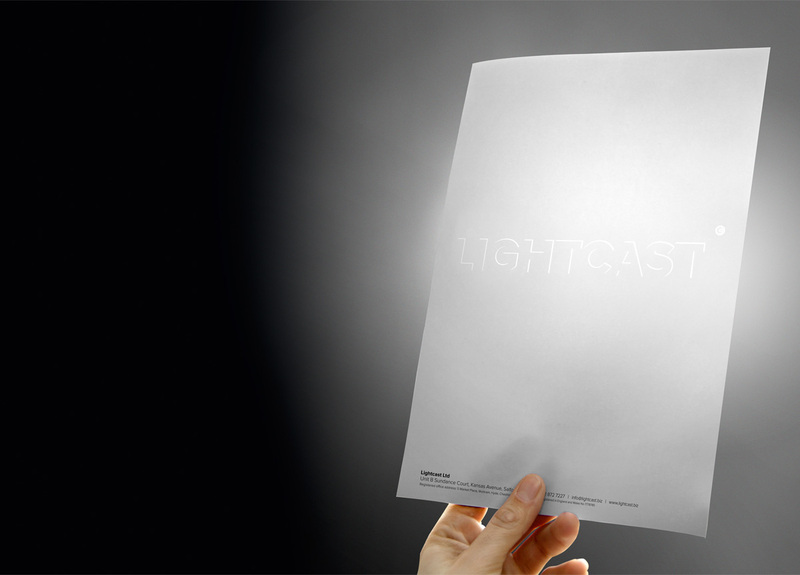 Their new logo uses a copy­right sym­bol as a light source, ele­gant­ly cast­ing light onto the top and right hand edges of black let­ters spelling the company’s name. Their let­ter­head reveals a hid­den logo water­mark when held up to a light source, and their busi­ness cards are gloss foiled along the top and right hand edges—mimicking the light catch­ing the edges of the let­ters in their logo. Creating an impactful identity in a highly specialised industry dominated by a few big names and many smaller organisations was key. The identity needed to cover a range of existing and future services under one look and feel and appeal to a diverse range of potential clients from the general public to senior TV and studio executives. We have had great feedback from clients and industry colleagues as to the distinctly different design, which cuts through a sea of competitor’s colors and images. The identity also provides tremendous scope to translate across marketing collateral and environmental spaces. 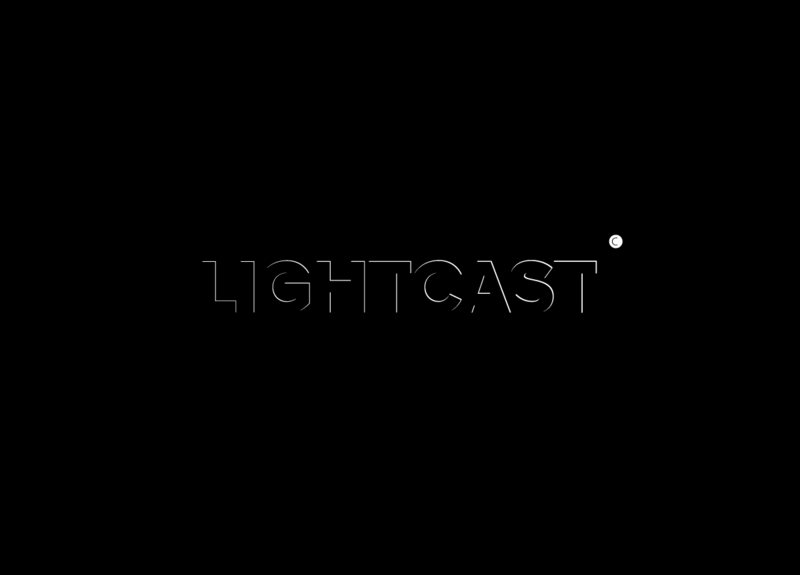 — Martyn Rourke, Owner and Kate Jones, Director at Lightcast Ltd.